Noted menswear editor Christian Barker examines the evolution and core attributes of Neapolitan sartorial style. Described by its proponents and many devotees as being “light as the breeze that blows over Vesuvius,” the unique Neapolitan style of tailoring embodied in a SACCO blazer was spawned in this famously chaotic Italian coastal city almost a century ago. In the 1930s, at the behest of his employer, Gennaro Rubinacci (whose eponymous tailoring business, now helmed by his son Mariano and grandson Luca, remains one of Naples’ greatest and best-known), cutter Vincenzo Attolini innovated what today we’d recognise as signature Neapolitan sartorial style. Combining the soft-tailored ‘drape’ of Anderson & Sheppard, Savile Row, with inspiration from the work of Roman tailor Domenico Caraceni, Attolini crafted unstructured, minimally lined garments, designed to beat the relentless Neapolitan heat — while retaining an utterly elegant appearance. His work was continued by his successor at Rubinacci, Antonio Panico, who further refined the art of ultra-light tailoring. Created to suit the laidback lifestyle of Naples’ indolent, affluent gentry, the Neapolitan jacket is characterised by the natural, shirt-like construction of its shoulder, scarce use of padding or lining, a barchetta (little boat) breast pocket that serves as a nod to Naples’ seaside locality, a backward-oriented centre seam on the shoulder (which helps it hug the form), generous lapels with a high gorge, and pignata patch pockets, their curved-bottom shape like that of a little pot. You’ll find each of these attributes present and accounted for on a Neapolitan-made SACCO blazer. Though Rubinacci and Attolini shaped its contemporary form, the bloodline of Neapolitan tailoring runs far deeper than the 1930s. Many hundreds of years, in fact — to the mid-14th century, when the oldest tailoring association in Italy, known as the Confraternita dell’arte dei Giubbonai e Cositori (or the Brotherhood of the Jacket Makers and of the Tailors) was established in Naples. Subsequently, during the Renaissance, Neapolitan artisans began crafting what historians consider some of the first men’s ready-to-wear tailoring, handmade in Naples and transported internationally for sale. It’s much the same way that SACCO operates today. 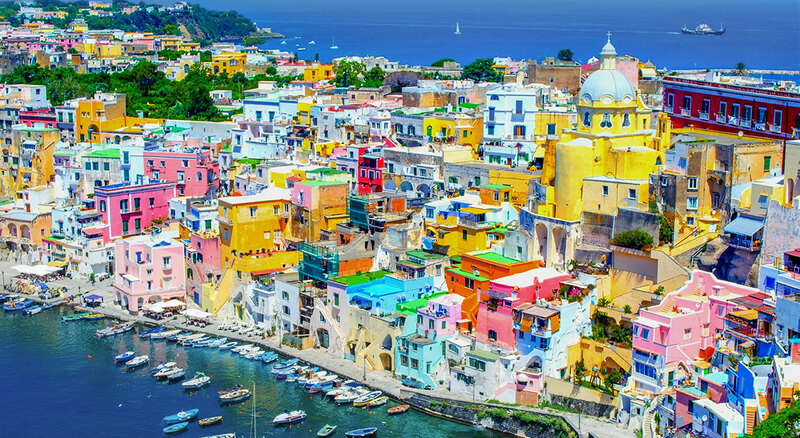 In the 17th century, Naples grew to become the second-largest city in Europe (only Paris was more populous), with some 300,000 inhabitants, catered to by more than 600 brotherhood-certified tailors. Celebrated Naples-based Baroque artists including Bernini and Caravaggio almost certainly numbered among their clients. When the kingdom of Naples fell under Bourbon rule (1734 through 1806), the garments worn by the city’s nobles intentionally, drastically differed from what was fashionable elsewhere — notably Napoleonic France, which the Bourbons (despite the line’s Gallic roots) were invariably in conflict with at the time. So began Naples’ tradition as a centre of menswear rebellion. The once prosperous city-state descended into grinding poverty when, following the unification of the kingdoms of Italy in 1861, Naples’ treasury was emptied to help economically shore up the newly formed nation. An exodus ensued, with four million people leaving Naples and its surrounds between 1876 and 1913, seeking greener pastures elsewhere. Nevertheless, at this point in time, the city remained Italy’s largest, with around a half-million inhabitants. The more privileged among them saw to their sartorial needs at the ateliers of tailors such as Salvatore Morziello, Giacchino Trifari, and later, his protégé Filipo De Nicola. Neapolitan aristocrats would spend hours socialising at their tailors’ plushly appointed premises, often ordering dozens of suits at once. These wealthy men of leisure were free to while away their days honing and perfecting the details of their bespoke garments, challenging their tailors to strive for new levels of inventiveness. As explained earlier, in the 1930s, a former apprentice of Morziello’s named Vincenzo Attolini very much rose to this challenge. In the 1960s, Attolini’s son Cesare invented the tailoring system — an artisanal production line, essentially, where each craftsman works exclusively on a particular aspect of a garment — that has allowed Neapolitan tailoring to flourish, with houses such as Kiton, Isaia and Cesare Attolini turning out some of the world’s most sought after (and indeed, costliest) ready-to-wear suiting today. With SACCO’s arrival, a new chapter in the history of Neapolitan tailoring has commenced — making this exquisite suiting more accessible than ever.